When you order your Save The Earth Check designs, you are sharing your love of taking care of our planet with others. Whether you are supporting recycling or conservative living your Planet Earth support checks are unique and special. We all want to live in the green for as long as possible and buying checks with the various Save The Earth Symbols brings awareness to the people you love and care about. Personal checks in this collection highlight many of the popular environmental/conservation causes and emphasize the message that green is the color of choice in the battle to maintain a healthy world. The recognizable symbol of bent arrows forming a triangle is known to most Americans as the invitation to recycle. There are cuter ways of saying it, such as the daisy-sprinkled set of personal checks with just the word "recycle" emblazoned across the front. A panda represents the threatened animal species of the world. Did you know you can save up to 70% off standard bank check prices when you order checks online from Value Checks? 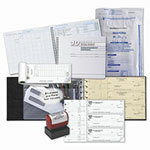 Plus, our high quality check printing machines also offer the best check security. With easy online ordering, your save the planet checks will come to you through the mail. Enjoy many recycling checks in matching checkbook covers and address labels.